Integrated Or Freestanding Kitchen Appliances? Are you struggling to choose between out of sight or out on view? 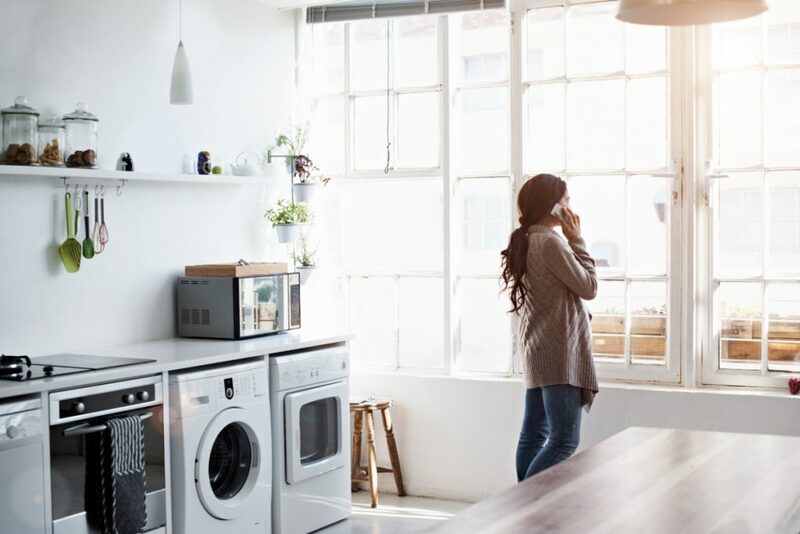 There are pros and cons with both integrated and freestanding kitchen appliances, the one that’s best for your family depends on your individual wants and needs! Here’s a heads-up to help make the decision easier. What Are Integrated Kitchen Appliances? An integrated (or built-in) appliance is concealed behind cupboard doors. This stops unsightly white goods from standing out and gives your kitchen a seamless appearance. This option works best in small kitchens as it creates an illusion of space. Hiding tumble dryers, washing machines and dishwashers behind a panel reduces noise. Product and installation costs are invariably higher. What Are Freestanding Kitchen Appliances? A freestanding appliance stands on its own and doesn’t need to be attached to the structure of your units. While these appliances can often be slotted under your worktop, they are clearly visible and must be placed on the floor. You don’t have the ability to mix and match with your cooktop and oven, they are either both electric or both gas. Planning your dream kitchen? Our expert team at Black Rok Kitchen Design can help. Get in touch or visit our showroom in Heathfield.